This range has been made for those who have limited yard space and those who don't need full a size range to maintain their dogs training. 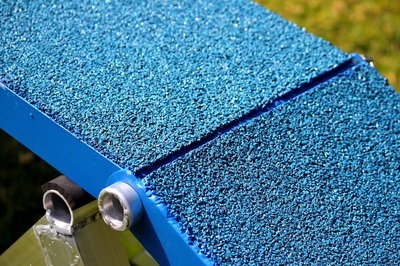 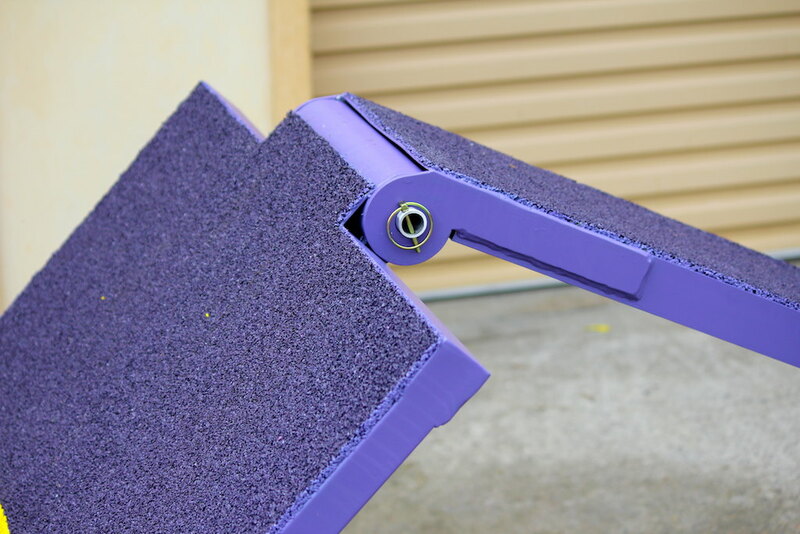 The very lightweight and durable construction makes set up and pack away even easier. 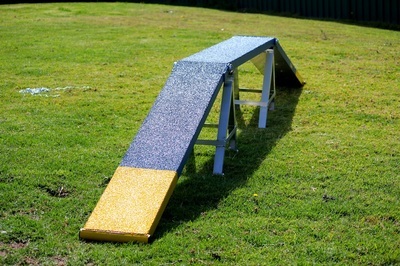 The Mini Dog Walk has been scaled down by half. 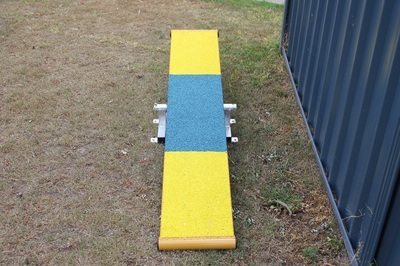 It still maintains the ANKC standard of being 300mm wide however is half the height and half the length. 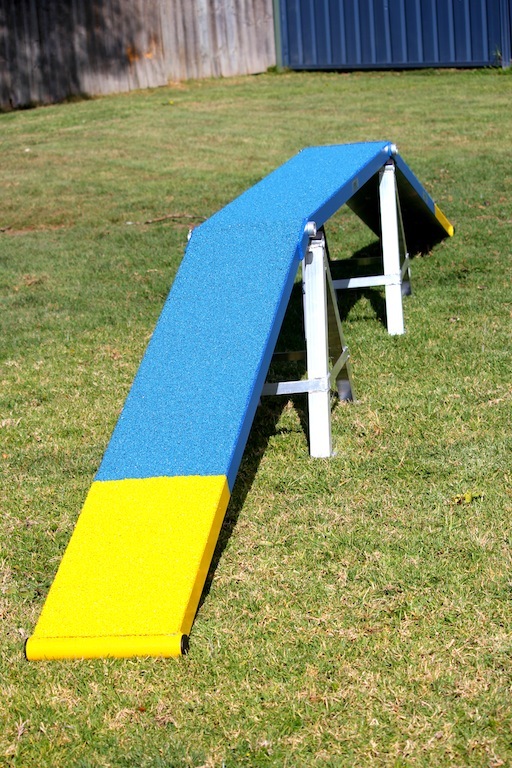 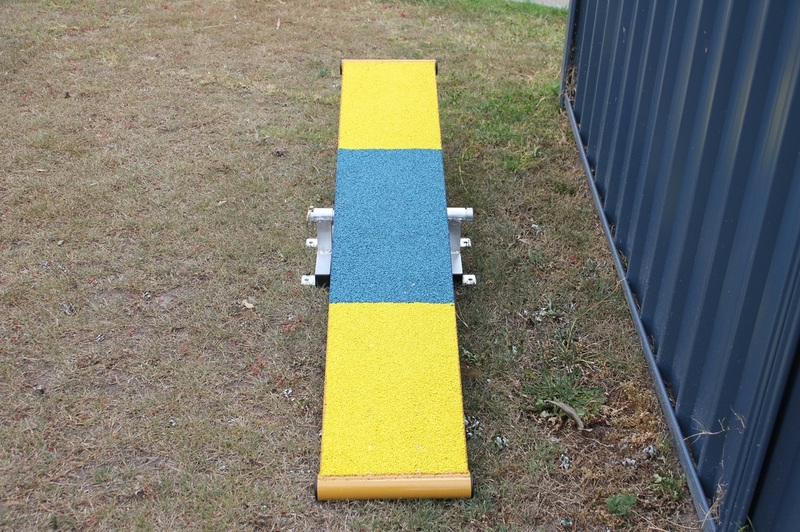 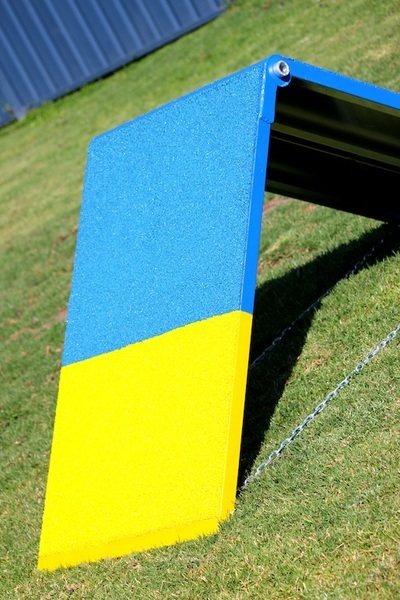 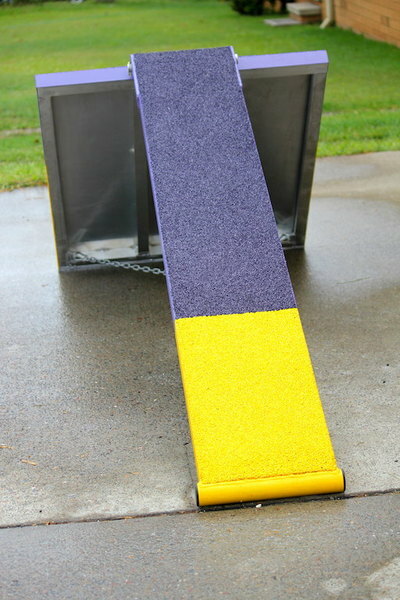 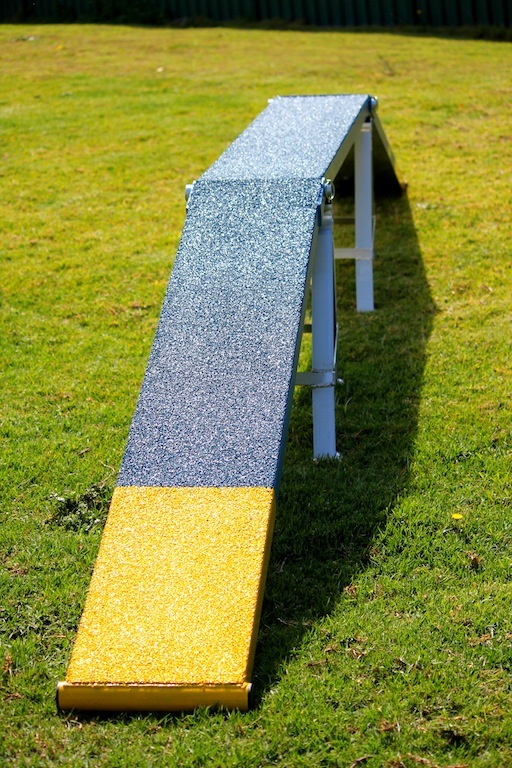 The ramps have the exact same incline and decline of the full size Dog Walk so you dog will not get confused when using the full size Dog Walk. 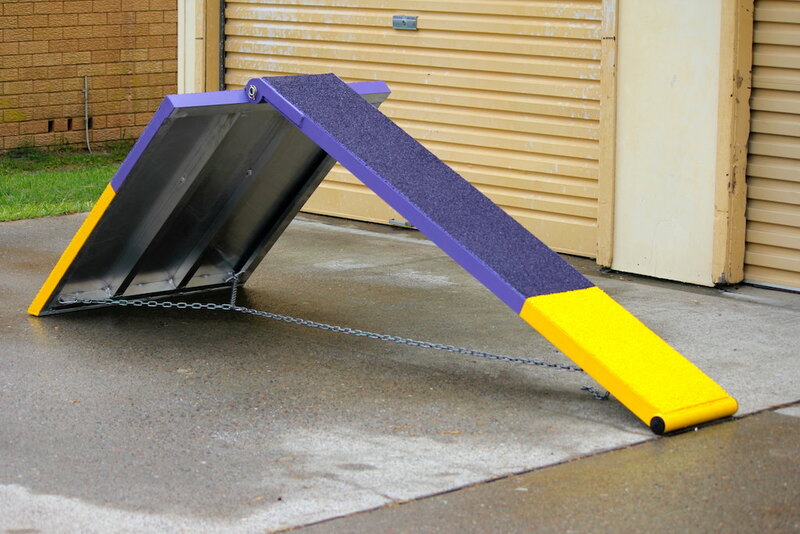 The Mini Dog Walk is light weight and can be easily moved around, set up and packed away by any single individual. 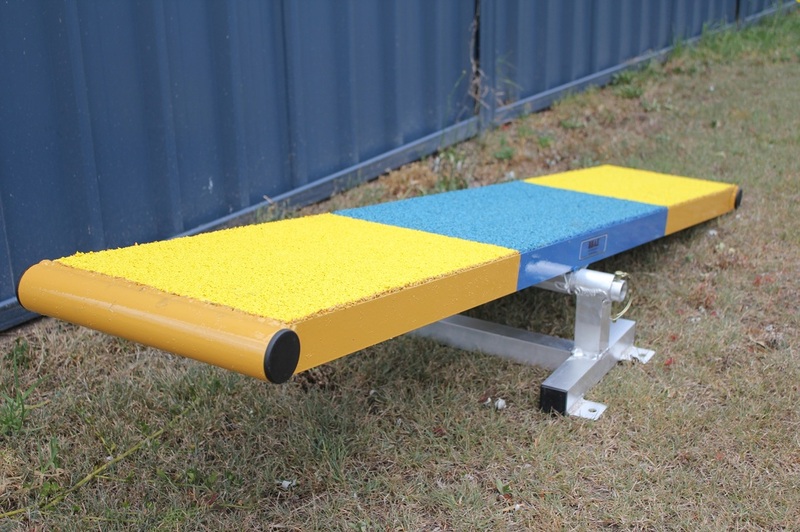 The flexible design of the stands/legs also make setting up on slightly uneven surfaces safer, eliminating that rocking affect that can often occur. 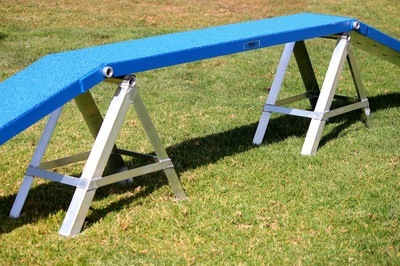 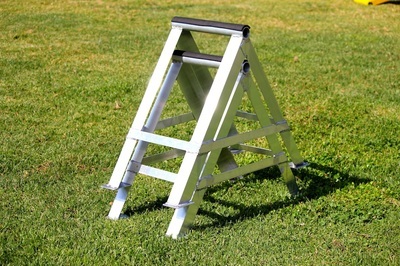 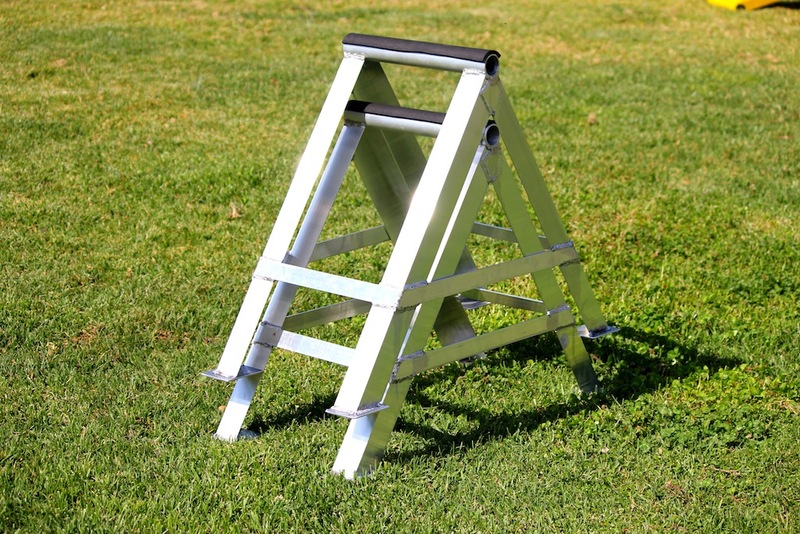 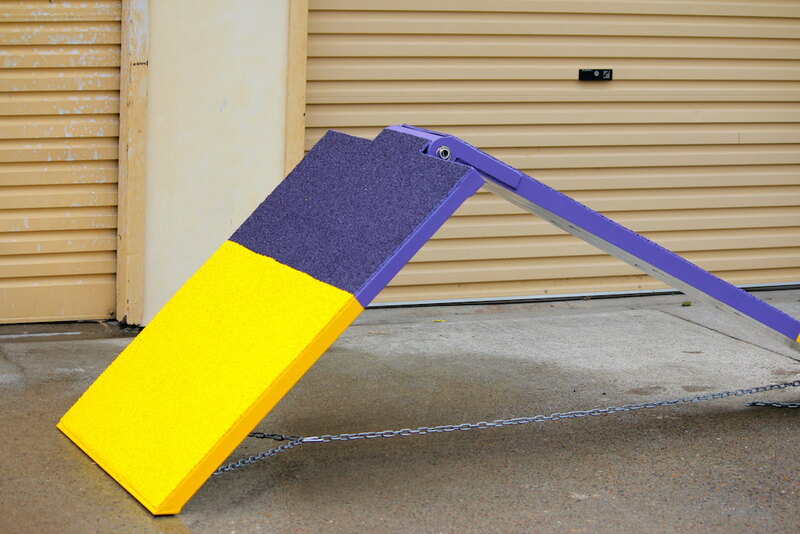 This small piece of equipment is also capable of supporting up to 90kg. Made to exactly half the ANKC competition height. 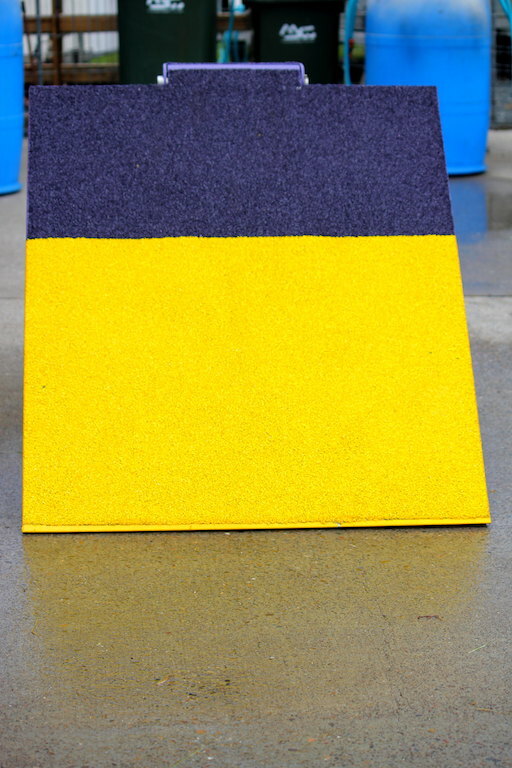 Note width is less than standard. 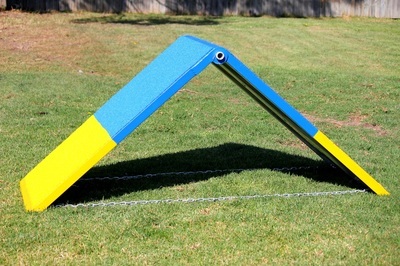 Comes apart in two panels but also can remain folded together. Has fixed height for correct competition angle, or has various height allowance with the chain. 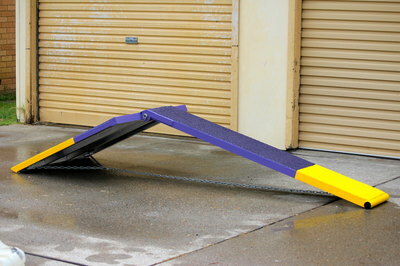 Can lay completely flat on ground with chains removed. 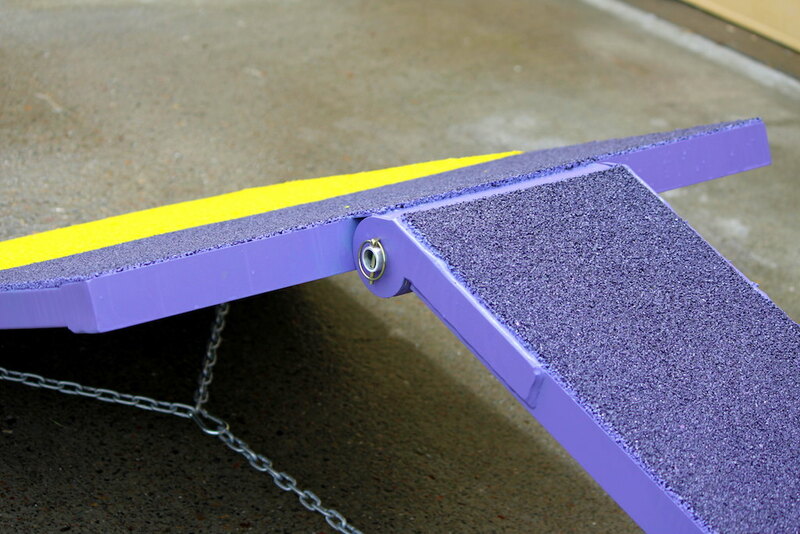 Any height you use between flat and the chains first capable lowered height, Scramble will need to be supported underneath. Chains and locking pin included. Made to half the height and half the length of the ANCK competition standard. Comes with stand and locking pin. 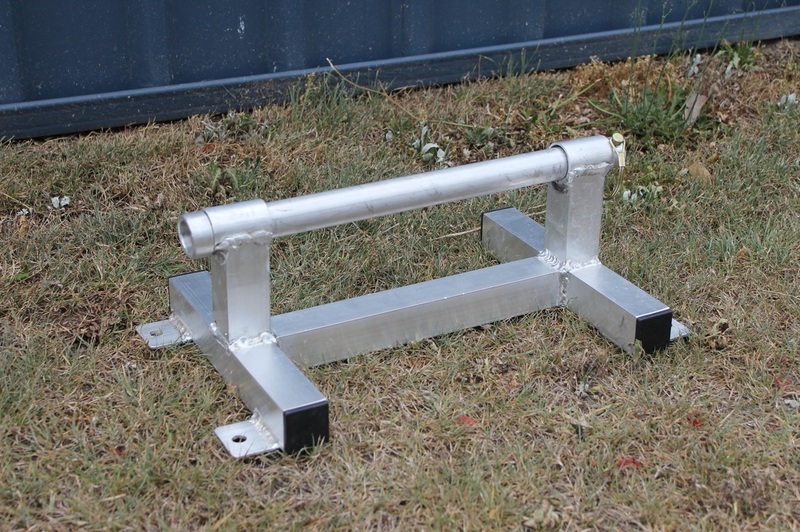 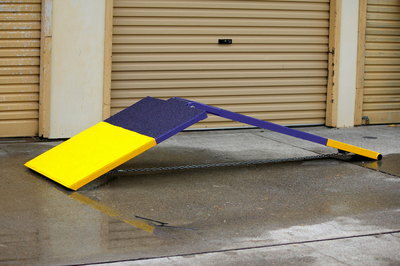 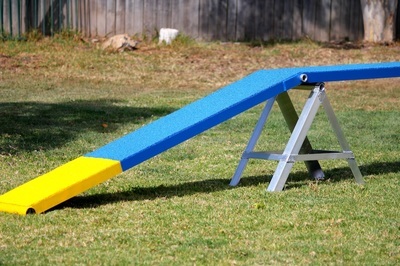 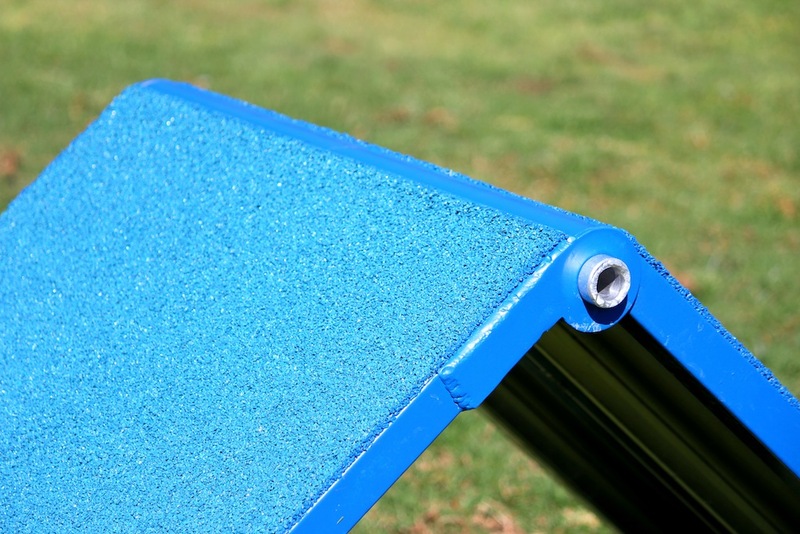 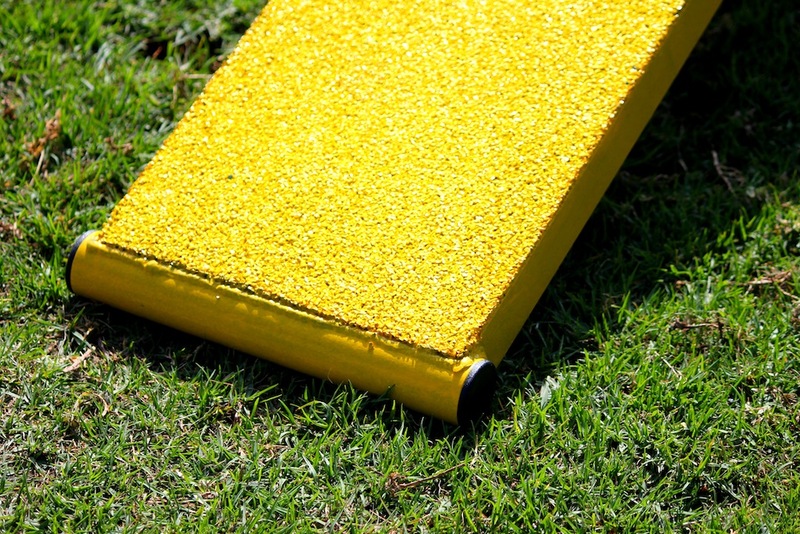 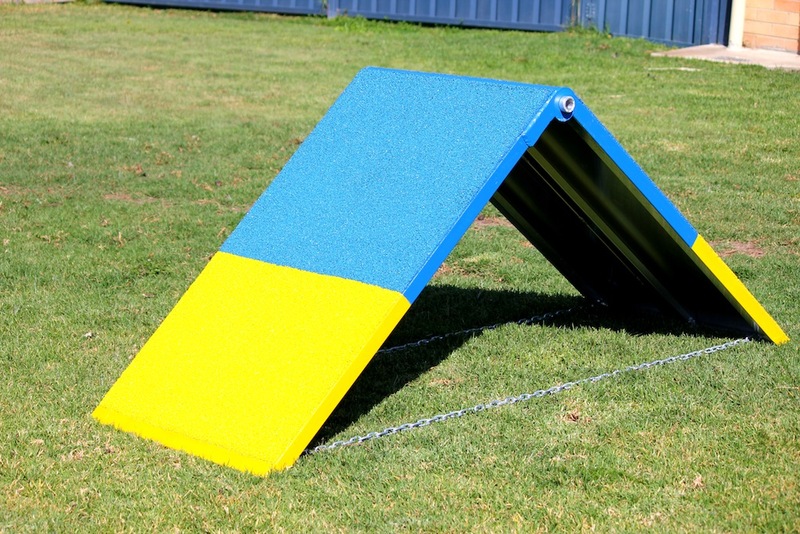 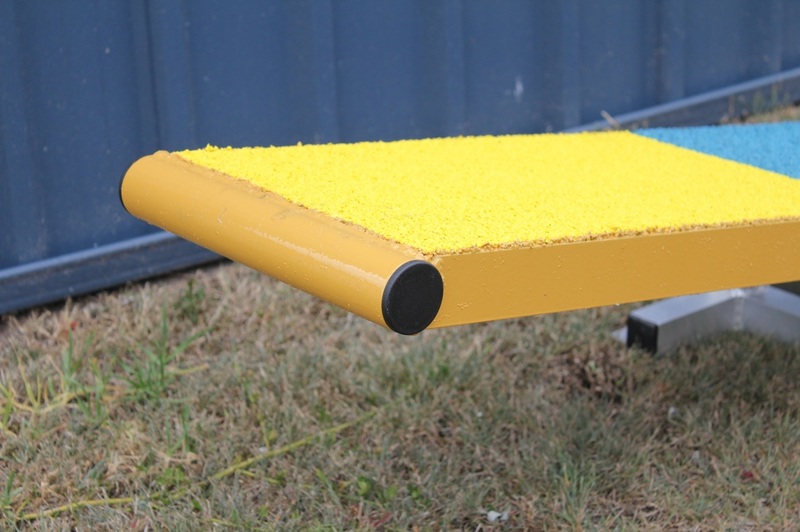 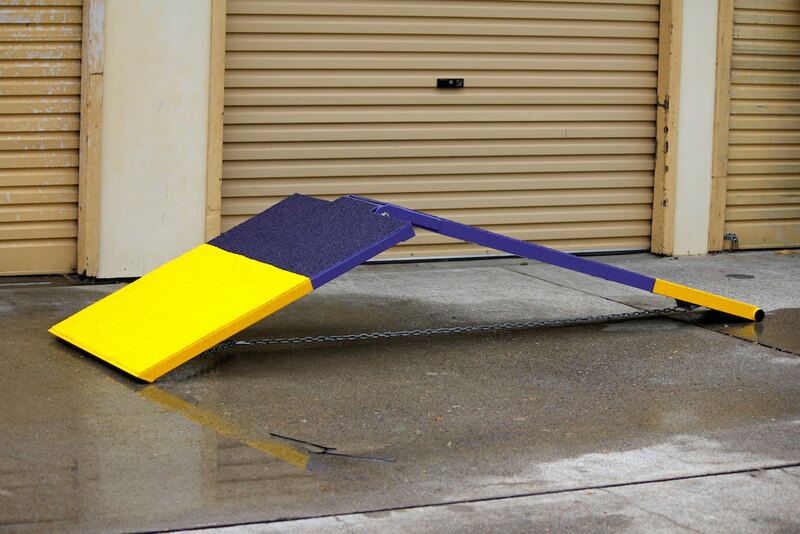 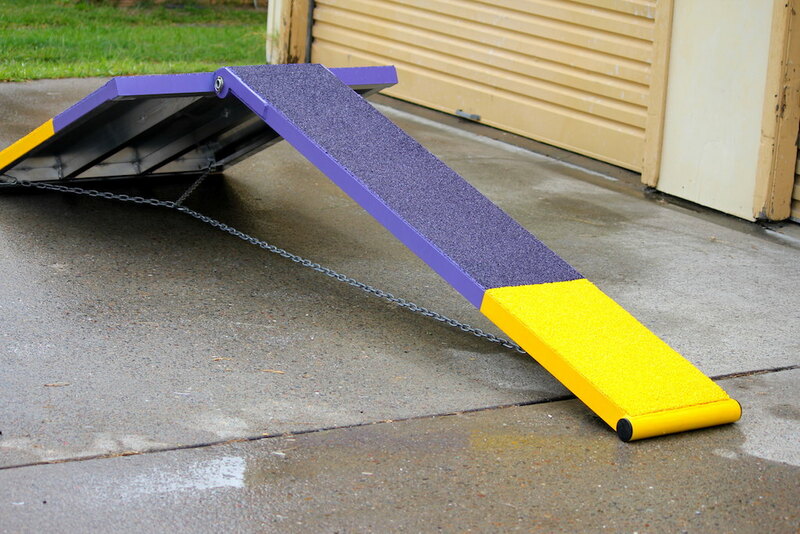 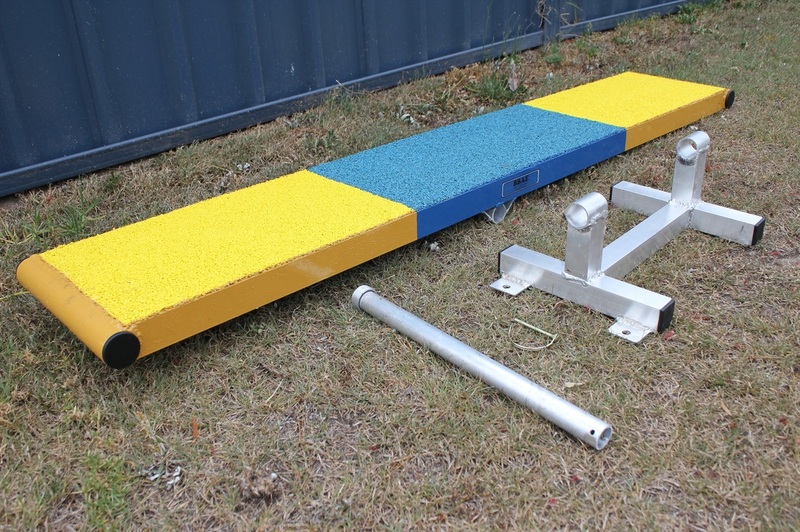 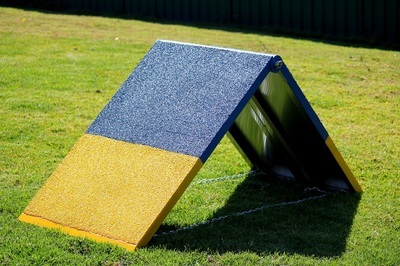 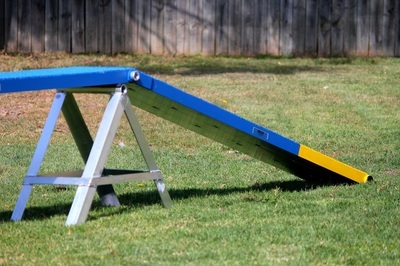 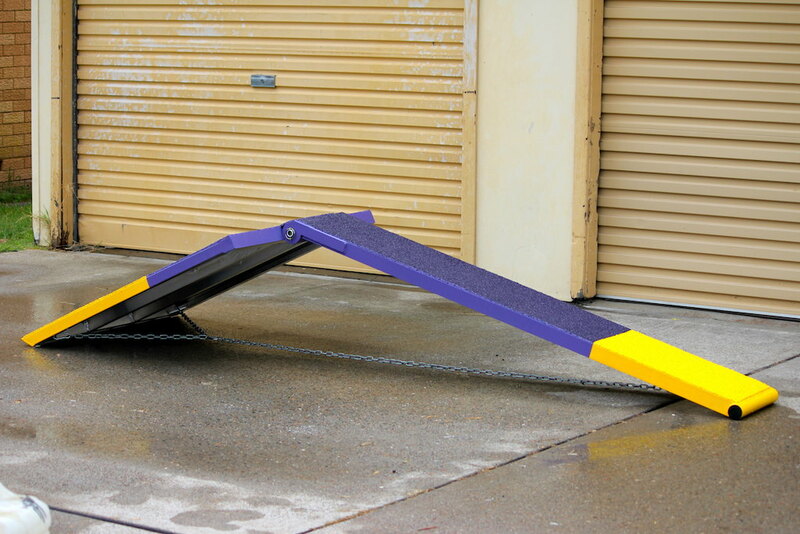 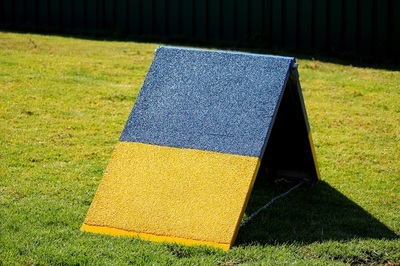 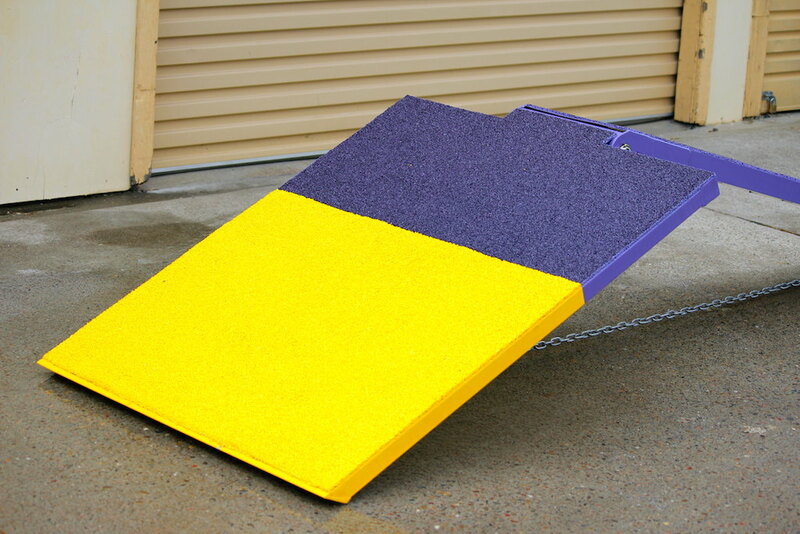 Our New Aluminium Contact trainer is perfect for someone with a small backyard who needs the best of both worlds.